I feel like I could’ve been Italian in a past life. My two favorite foods are pizza and pasta (any kind of pasta: mac and cheese, alfredo, spaghetti, etc). When it comes to my favorite pizza place, I’ve narrowed it down to Papa Johns (don’t get me started on that garlic sauce). My favorite frozen pizza: Red Baron (side note: I’ve tried Digiorno and I do not like it, it is not like delivery at all..those commercials are very misleading). My favorite fancy pizza: The Cheesecake Factory..Their BBQ Chicken Pizza (without the chicken) is heavenly! Oh my word and their red velvet or oreo cheesecake *drooling*…note to self: go to the Cheesecake Factory this weekend. 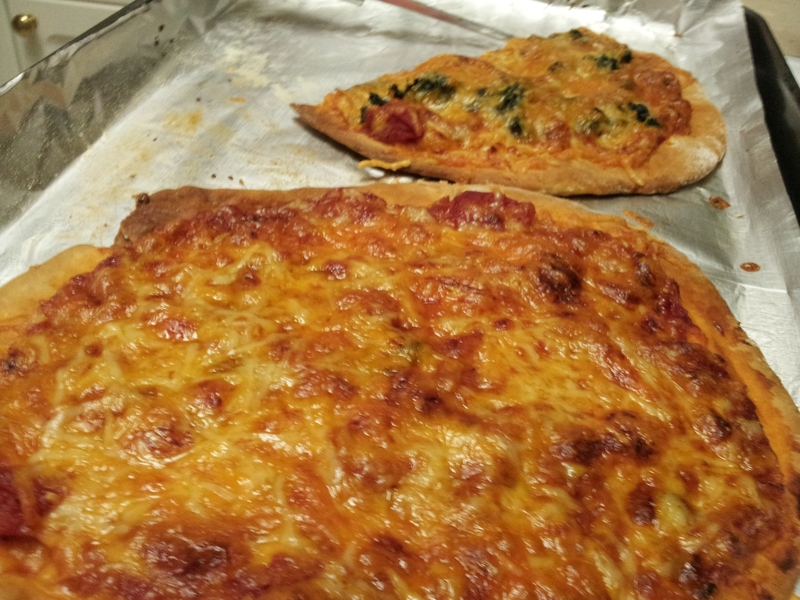 Anyways, I decided to try to make pizza from scratch, and it is actually not as hard as I had anticipated. 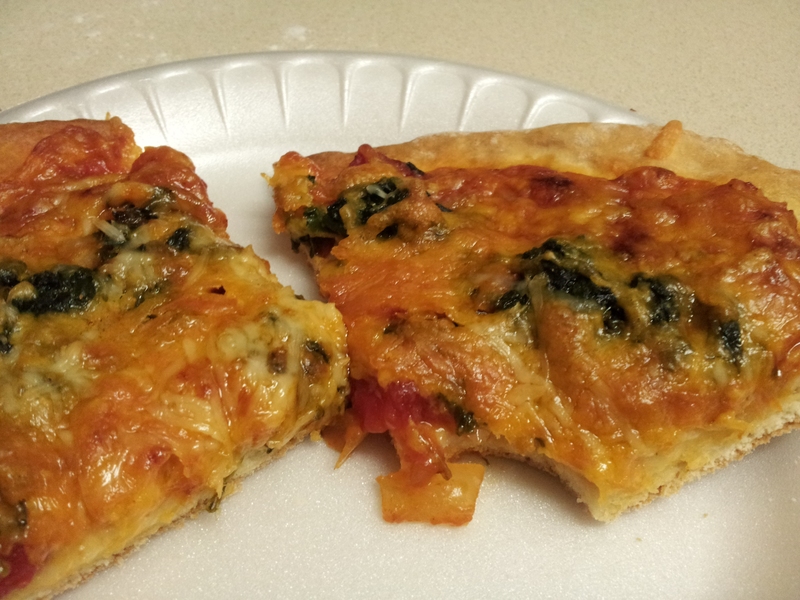 I got the pizza dough recipe from one of my cookbooks: “Vegetarian Classics” by Jeanne Lemlin. 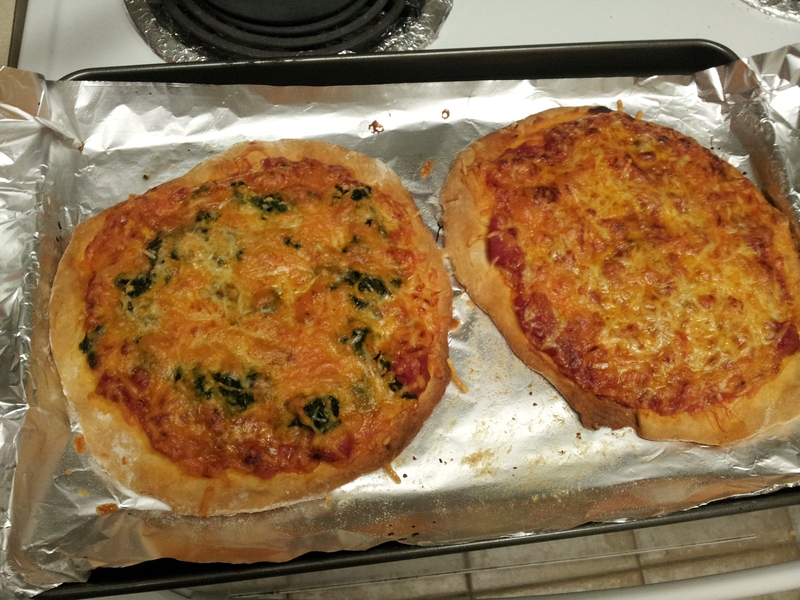 I wanted to make a regular cheese pizza and one with a spinach topping. For the dough, mix all of the dry ingredients and butter together. 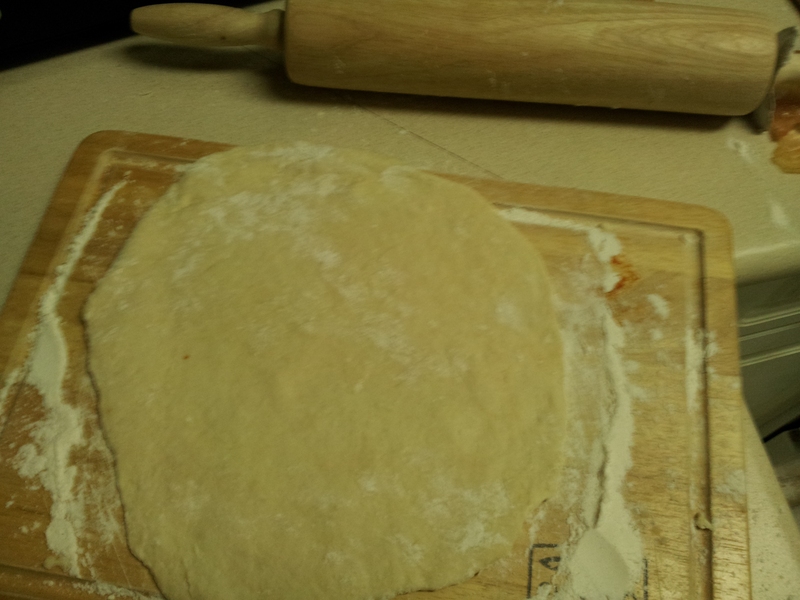 Then, mix in the milk until the dough is firm and doughy lol. Guess who finally bought a rolling pin? 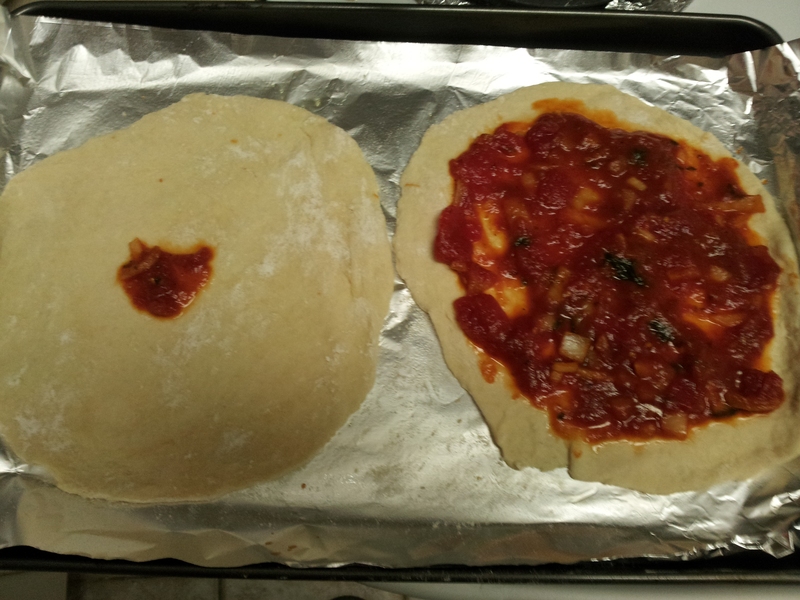 I decided that rolling out pizza dough would require more effort than a cup that I usually use. 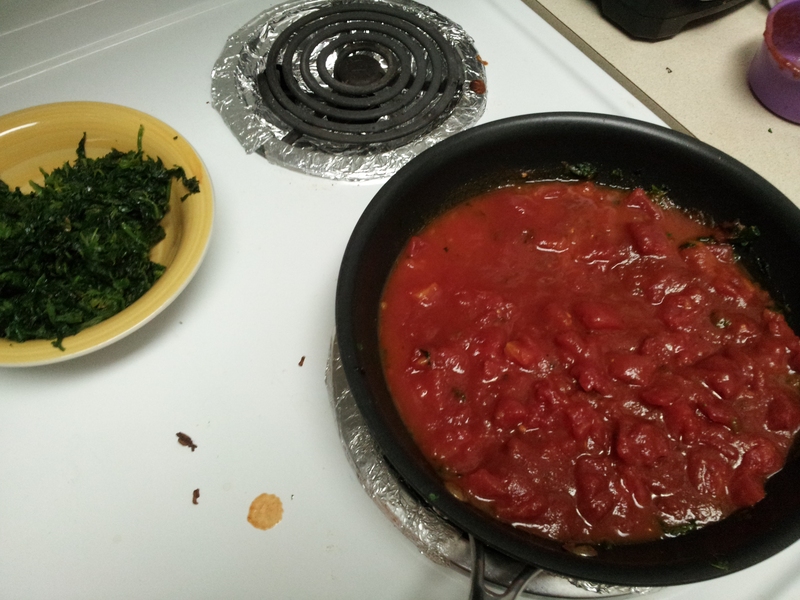 I set the dough aside; heat the spinach and put that aside in separate bowl. Combine diced tomatoes, marinara sauce, onion, seasonings and simmer for a little bit. Preheat oven 450 degrees. 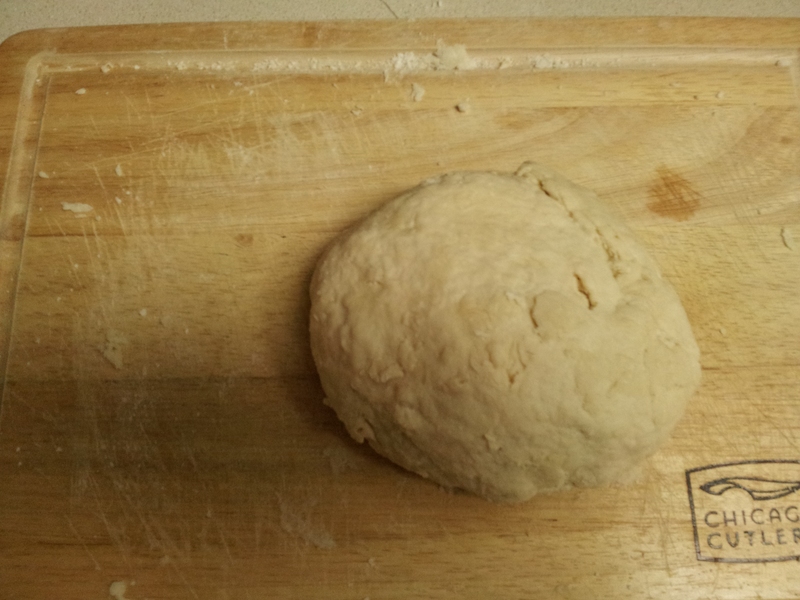 Cut the dough in half , put some flour on the rolling pin so the dough doesn’t stick and roll out two circles. Grease the pan or foil. 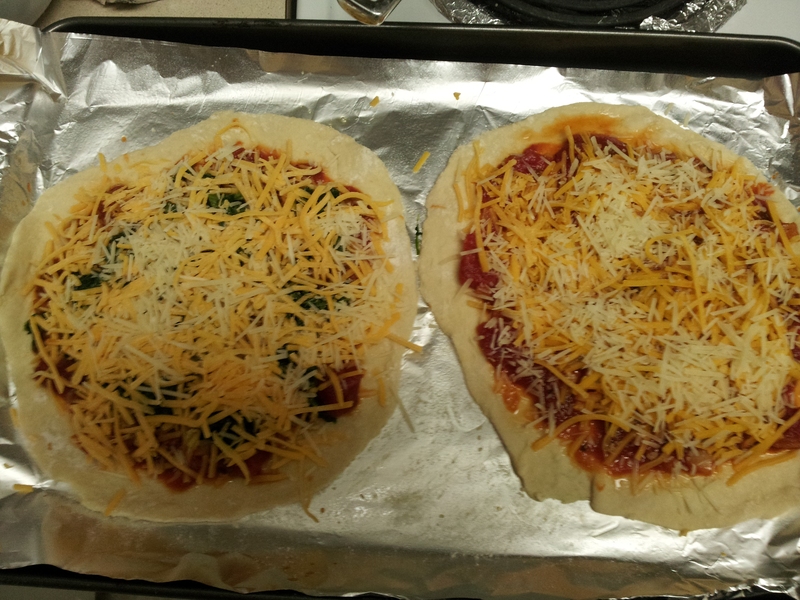 Put the sauce, spinach, and cheese on top of the dough. Put in oven for 10-12 minutes. It turned out so good yall *in my Paula Deen voice*. It was better than any frozen pizza but I wouldn’t say it was on The Cheesecake Factory level 🙂 . My husband enjoyed it and I was pretty proud of myself!